Scraggy in game: 7,040 Who? Important notice! Pokemon Scraggy is a fictional character of humans. Scraggy (Japanese: ???? 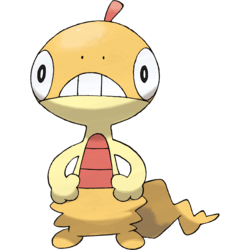 Zuruggu) is a dual-type Dark/Fighting Pokémon introduced in Generation V.
Scraggy is a bipedal, lizard-like Pokémon. Its oval eyes are set to the sides of its head, and its teeth appear to be constantly exposed. There is a small red scale on its yellow head. Below the yellow portion of its head, its body is cream-colored with thin arms and a red, scaly belly. It carries its loose, yellow skin around its legs, resembling trousers. Some of the loose skin seems to trail off to form or cover a tail. This pelt is rubbery and can be raised to its neck in order to reduce the damage it takes from attacks. Scraggy is easily engaged in battle, as it will attack any foe that so much as meets its gaze with its thick cranium. 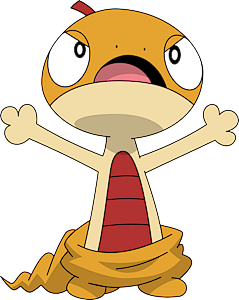 Ash's Pokémon Egg hatched into a Scraggy in Scraggy-Hatched to be Wild!. Concetta has a Scraggy which first appeared in A Performance Pop Quiz!. 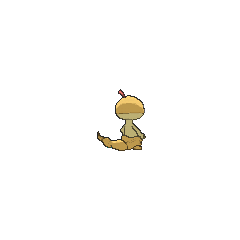 A Scraggy appeared in a flashback/fantasy in The Forest Champion!. Two Trainers each owned a Scraggy, which appeared in The First Day of the Rest of Your Life!. 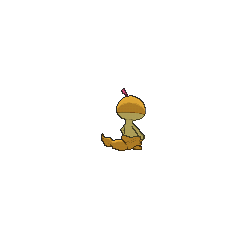 Two Scraggy appeared in Till We Compete Again!, each under the ownership of a Trainer. A Scraggy and a Scrafty stole an accordion that was going to be used in a BW Agency commercial. They were later found by Black and defeated. A Scraggy is later seen in the possession of the Black Empoleon Bikers of Tubeline Bridge. Rukamu, a member of Great Gavel, has a Scraggy which he can use it as his Burst form. 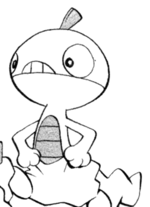 Pokémon Adventures Wheeling and Dealing Its skin has a rubbery elasticity, so it can reduce damage by defensively pulling it skin up to its neck. 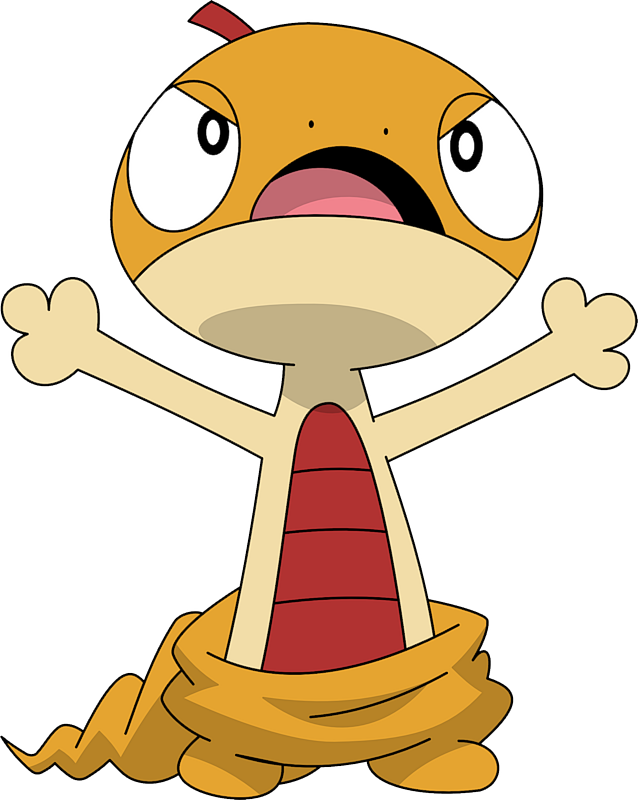 Scraggy and its evolution are the only Fighting-type Pokémon that belong in the Dragon Egg Group. Zuruggu is derived from ? zuru (sneaky person) or ?? zurui (crafty). It may also derive from ???? zuruzuru (loose or the act or sound of dragging).